As a part of every dental examination at Crown Dental Group, we’ll screen for the signs of grinding and clenching. Temporomandibular joint (TMJ) disorders can severely affect your teeth and jaw, and may be due to teeth grinding (bruxism) or clenching of the teeth. Both are common habits or even reflexes that happen mostly at night and are difficult to stop. Surprisingly, the majority of TMJ sufferers are unaware that the source of their problems is something our dentists can effectively treat. These habits can lead to temporomandibular joint dysfunction syndrome, which usually involves severe headaches, jaw pain, clicking in the jaw, difficulty opening and closing the mouth, locking of the jaw and ringing in the ears. 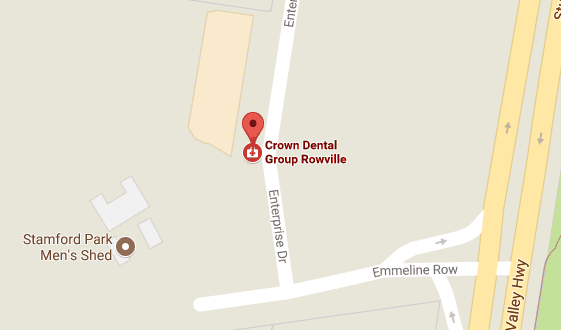 Your comfort and well-being are at the heart of what we do at Crown Dental Group. Pain relief is our dentist’s first consideration and then we’ll devise an immediate plan to treat the underlying cause. Get started by contacting us to book your appointment today! We accept insurance coverage and are happy to arrange a payment plan for you. Emergency visits are available.